After our detour to the Mission Church at Laguna, we spent the night in Gallup, New Mexico, on the border of the Navajo Reservation. The next morning we drove into Arizona through Navajo land and arrived at our destination at Second Mesa on the Hopi Reservation. Our 13-year-old friend, Joshua, had asked, “what are we going to do here”. Penelope’s response was, “Nothing” mine was, “Shop and Learn”! After we had driven to the top of Second Mesa we arrived at Tsakurshovi, the trading post that belongs to our friends, Janice and Joseph Day, she is Hopi, he is Anglo. They live next to their shop at the edge of the Mesa. 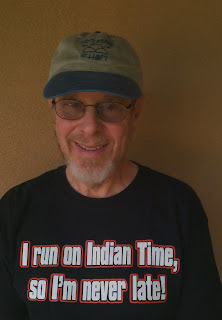 Their business is both with the Indians and the Anglos. The primary difference is that the Indians usually trade and the Anglos pay cash. Both are necessary to keep the trading post going. 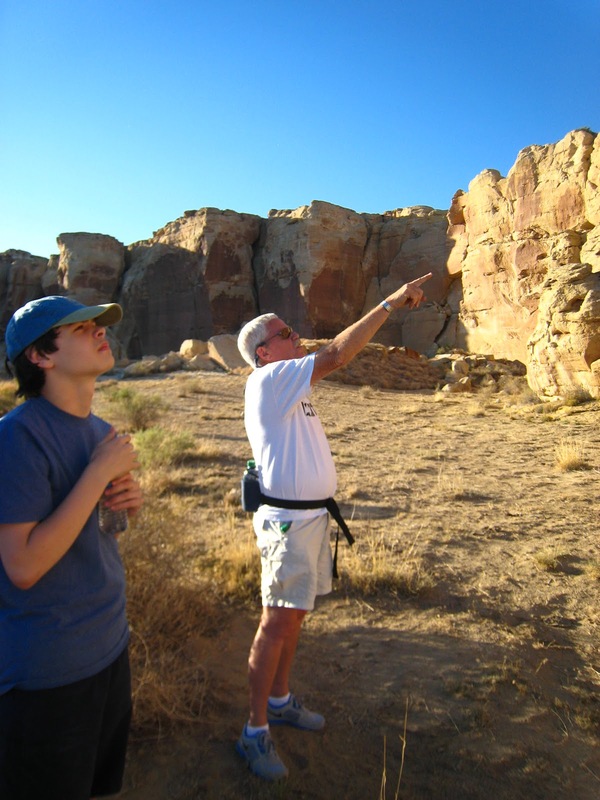 We began our time at Hopi in search of Native treasures, otherwise known as shopping! 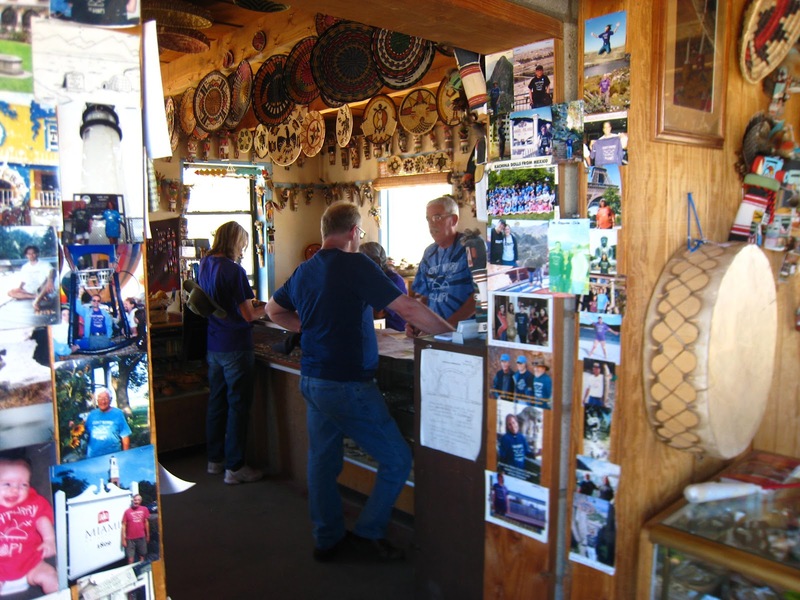 We visited many of the artists and dealers who have places along the road between 2nd and 3rd Mesas and they were more than happy to discuss what they had and what they made. By talking about the subject matter of the Katsinas, which can have a different significance in each village and discussing techniques used to create the pottery and silver we learned a great deal about native customs as well as crafts. The tribe’s biggest enterprise is the creation of artifacts that are not just sold at Hopi but all over the Southwest and even as far away as Japan. We also saw a dance at the Tewa Village of Hano and “discovered” a rodeo near another of the villages. In the end we found far more we wanted to do than we had time for. The greatest treat, however, was when Joseph, who is quite the raconteur took us to a remote site which is not open to visitors. 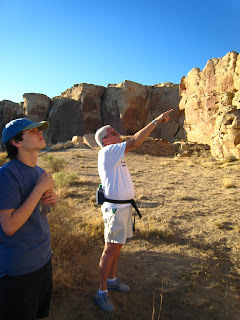 It is an incredible spot where Joseph said we could find 12 to 14,000 petroglyphs, not that he had counted. I have never seen so many and at many different levels from places we could reach on foot to parts so high up you would have to scale the rock face to get there. They range in date from several thousand years ago to more recent work known today as graffiti! World Monuments’ Fund out of New York was asked, not long ago, to come out to show the Hopi how to remove the graffiti and what might be done to prevent it in the future. Joshua was the only one in our party, that Sunday evening, who could climb through a crevice and reach the top of a rock formation where he discovered a pair of short swords in opposite sides of a single sheath. When he came down and described what he had seen, Joseph said he believed they were an offering made by a veteran of Afghanistan or Iraq. We learned about “sun daggers” a phenomenon re-discovered only 35 years ago. 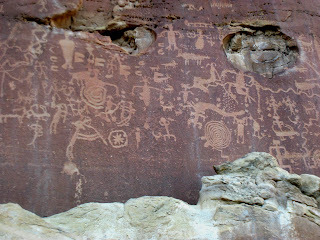 These are rock carvings positioned so as to interact with the rays of the sun at the March 20/21 and September 22/23 equinoxes. This was how the ancient Anasazi people kept the calendar essential to their agriculture. We had been so engrossed in our tour of discovery that as nightfall overtook us Joseph took the wheel of our car in a race through the darkness along unmarked roads back to Tsakurshovi where Janice was waiting for us.